Today in 1973, a US Federal Judge signed his decision following a lengthy court trial which declared the ENIAC Computer patent invalid and belatedly credited physicist John Atanasoff with developing the first electronic digital computer, the Atanasoff- Berry Computer or the ABC. Originally built in 1937-42 at Iowa State University by Atanasoff and a graduate student, Clifford Berry, it introduced the ideas of binary arithmetic, regenerative memory, and logic circuits. These ideas were communicated from Atanasoff to John Mauchly, who used them in the design of the better-known ENIAC built and patented several years later. Before we had computer engineers or computer scientists to design and build computers, researchers from many disciplines, including physics, mathematics, and electrical engineering, worked to develop the first computing machines. Iowa State University’s role in the modern computing history began in 1937 when a physics professor and an electrical engineering alumnus (then a graduate student in physics) began working to develop the world’s first electronic digital computer. So what is Eniac, you seem to be wondering. 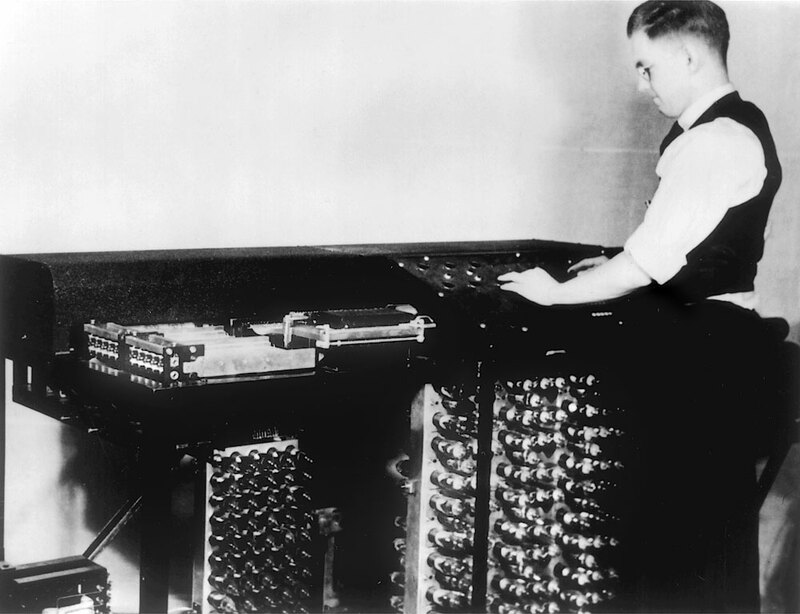 Eniac, which stands for Electronic Numerical Integrator and Computer, like many other technological advances, was a by-product of the war. The dawn of the digital age was just around the corner when the world went to battle in World War II. However, ENIAC still incorrectly gets the credit from many to this day.